Out now from Llewellyn Books. Available at Barnes & Noble.com, Amazon.com or check your local bookstore! Learn how to improve your intuition from a professional intuitive! In Angel Intuition, psychic and angel expert Tanya Carroll Richardson teaches you about your sixth sense so you can receive more divine guidance to improve every area of your life. 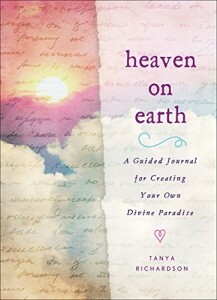 Tanya picks up where she left off in her first bestselling angel book, Angel Insights, offering even more information about angels and other members of your spiritual guidance squad―spirit animals, ascended masters like Buddha and Mother Mary, loved ones who’ve passed on, and your soul’s own higher self. Tanya shares how she discovered and honed her intuitive gifts and gives you the knowledge and practical exercises to understand and develop your abilities as well. Find out how we receive information via the four clairs (clairaudience, clairvoyance, claircognizance, and clairsentience). Take a quiz to help you get more in touch with your sensitivity and to learn where you fall on the intuition spectrum. 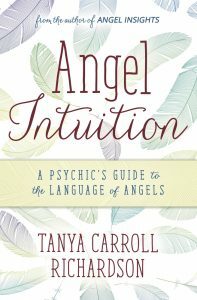 Discover the eleven most common ways that angels send you guidance, learn Tanya’s twenty-five golden rules of intuition, and receive clues about your own past lives, soul archetypes, and current destiny. Take your intuition to the next level with this fun, informative, encouraging book. Out now from Hachette’s Seal Press. Available at Barnes & Noble.com, Amazon.com or check your local bookstore! 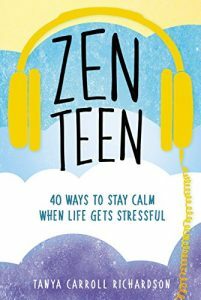 A warm and relatable teen guide to reducing anxiety, depression, and panic while developing resilience and confidence with 40 tips and tricks that guide, support, and inspire teens to keep calm and stay mindful. In the last decade, studies have reported a drastic rise in teens who experience anxiety, panic, and an inability to cope with the pressures of daily life. As mental health challenges become less stigmatized, young people are more likely than ever before to know how to identify their feelings and ask for help. Even celebrity teen icons like Selena Gomez are “coming out” as anxiety sufferers. Smart and fresh, Zen Teen helps teens thrive while navigating and managing the pressures of everyday life. Angels are always with you―but who are they, what motivates them, and how are angels both like us and different from us? In what ways can angels help us and what are their limitations? Can we invite angels to play an even larger role in our lives? 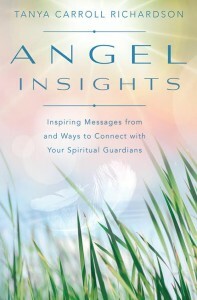 Angel Insights gives readers the fascinating, life-changing answers with an in-depth look into the divine world of angels. Some angels, like guardian angels, are assigned to you at birth, and are devoted to protecting you and advocating for you throughout your life. Still more angels, like archangels and helper angels, are available to you anytime. In this book you’ll learn about different types of angels and what each can offer you. Angel Insights shows you how to create a closer relationship to the angels, teaches you how to recognize angelic guidance, and provides practical exercises so you can hone your intuition to receive more angelic guidance about love and relationships, physical pain and emotional trauma, setting boundaries and self-care, support for a heavy heart, fulfilling your unique soul purposes and life path, and warnings of danger. Join author Tanya Carroll Richardson as she shares messages given to her straight from the angel realm on spiritual topics like fate, free will, soul contracts, divine timing, third-eye eating, the environment, and living as a human angel in the world. Anyone can communicate with, better understand, and develop a closer bond to the angels―discover how! 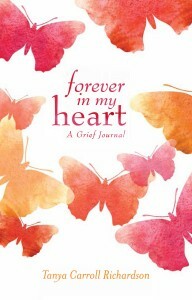 Filled with touching and inspiring prompts, Forever in My Heart is a comforting journal for recording your reflections on your loved one’s extraordinary life, their unique traits, and all the many experiences and traditions you shared. This journal will help you explore your emotions, say things that were left unsaid, connect with your loved one’s spirit and find healing through writing. It also includes pages to scrapbook photos and other treasured mementos. Most people think of heaven as a place we go in the afterlife. But could we find it right here, right now? Tanya Richardson says YES. Heaven on Earth examines such divine concepts as love, beauty, angels, peace, freedom, and possibility so we can recognize their presence in our own world. Along with inspirational quotations, each chapter includes thought-provoking, fill-in-the-blank questions and ends with a “heart thought” to help us connect with the tenderness in our lives.